Preserving has never been a huge part of my everyday life, back in India, or even in England. I love my family's spicy pickles, or preserved lemons and limes, but other than that, I have never preserved or canned and it wasn't a technique I was comfortable with for a long time. In India, we do preserve, spicy pickles, jackfruit, dried fish, tamarind... come to mind. My favourite Indian preserve has to be the way my grandmother, Mai, did her jackfruits. Jackfruits are huge, spiky fruit that grow on trees, and are a delight when fresh, ripe and sweet. There are two kinds, the fibrous ones, roshal, and the other one is the firmer one, kapo. Roshal are sweeter, but a mess to eat, while kapo are prized for their flavour, not just when ripe, but also raw, where they are preserved in brine in huge stoneware crocks. Mai's kitchen always had these stoneware crocks full of preserved jackfruit, tamarind and the occasional fermenting spicy mango pickles. We preserved fish by drying it out, and salting it. These little fish were then ground up into a spicy chutney with garlic, chillies and coconut. Jackfruit was sliced up and made into a dry curry with splatters of mustard seeds and chillies. It was one of my favourite dishes growing up. Now, I can't think of it without tearing up at the thought of my Mai, who made this for me everytime I went to visit her. My first real experience of canning was in my mother-in-law's kitchen. MIL has a beautiful vegetable garden, and as she tells me, she grew and froze so many vegetables, that they lasted her most of the winter. She grew up canning... it was a tradition in her family, and she has happily passed down her tips and techniques to me. She let me help her make raspberry jam, and it was such a new experience for me. She doesn't can as much now, as she reckons its easier to freeze produce for just the two of them, but she did kindly pass on her canning and jam making books to me. I love going through old cookbooks, its like diving into a past that didn't include me, but in a present that does. Both Kay and I knew that when we moved back to Canada we were definitely going to have a garden and as Kay loves gardening, vegetables and fruit were a given. But still, the sheer scale of the produce coming in during this short Edmonton growing season shocked me. I had to learn how to can... and fast. So I did. My saviour of a book was 'Preserving Made Easy' by Ellie Topp and Margaret Howard. I don't think any other cookbook that I have has been used as much this year as this one. I love that its all small batch preserving but it also gives you plenty of scope to play with the flavours to make them your own. 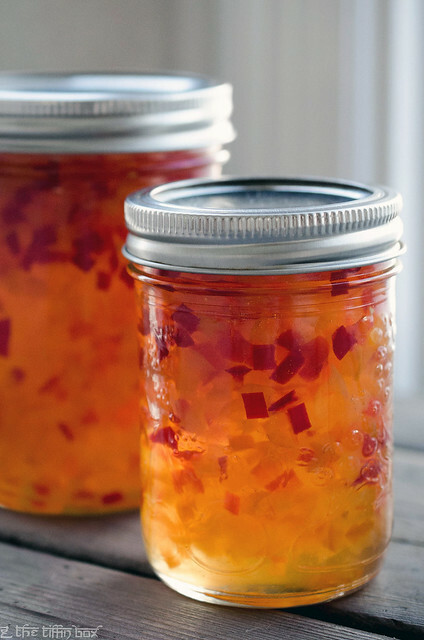 One of the biggest successes from this book was this amazing sparkling pepper jelly. I played with the flavours, substituting cider vinegar for white wine, adjusting the number of peppers and the heat levels until I found the perfect balance. My biggest problem with the jelly recipe was getting the peppers to stay suspended in the jelly, because my altitude meant that the peppers would all float to the top instead of staying all jewel like in the middle. It took me a few attempts to get this right and the recipe below reflects all the changes I have made to the original recipe. Not that floating peppers made a difference to the flavour, mind, it was really all about the presentation here. This jelly is totally amazing with crackers and soft cream cheese, brie or blue cheese. We recently took it to a friend's place, and it disappeared in no time... and I had people asking me for the recipe. I played a little coy, but then gave away the fact that it was going to be up here. I must admit, for a canning novice, it really was a proud moment. Between that and my salsa, I think I may be now set for the cold winter to come. Place the diced peppers, cider vinegar and sugar in a deep, heavy based pot. Bring to the boil, and boil hard for 1 minute. Stir in 1 pouch (85 ml) liquid pectin, then boil again for 1 minute. Take off the heat and let cool completely, stirring every so often. Cover and leave for about 4 - 6 hours, or overnight. This will stop the peppers from floating to the top when canning. 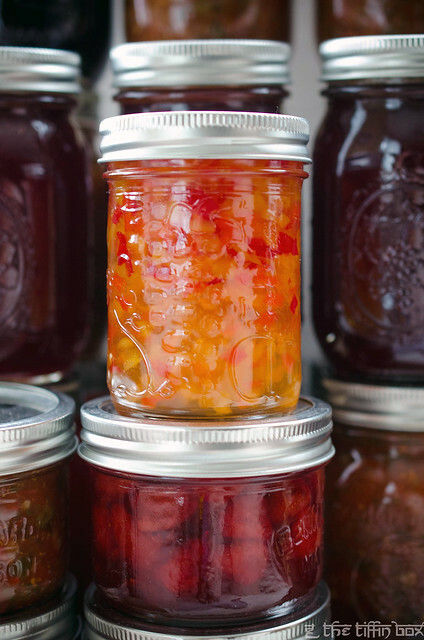 When ready to can, prepare jars, by washing them, and placing them in hot water. Place the lids in hot water. Bring back the pepper jelly to the boil, and add the remaining 50ml of liquid pectin. Boil for 1 minute, take off the heat, and stir hard for a couple of minutes. Ladle into the prepared hot jars, leaving 1 cm of head space (space on top). Clean the jar rims, then place the lids on top, then screw the bands on to fingertip tight. Process in a boiling water canner for 15 minutes (depending on altitude). Take out of the canner, and let cool completely, until the lids pop and the jars seal. Store at room temperature for up to a year. If the lids don't pop, store in the refrigerator. 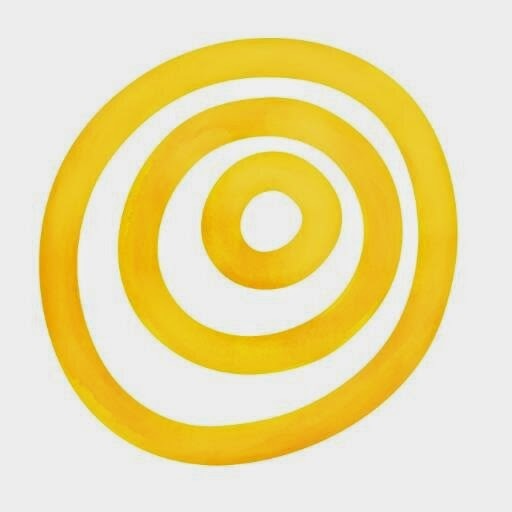 This post is part of the The Canadian Food Experience Project. Myself, along with the other participants are sharing stories about our Canadian food experiences, across this vast country we call home. We would love it of you followed along and joined us too. What an interesting post... thank you! All of those beautiful jewel coloured jars must give you a great feeling of satisfaction and joy! Nothing is as good as a little bit of summer's bounty shared with family and friends during our long winter months. 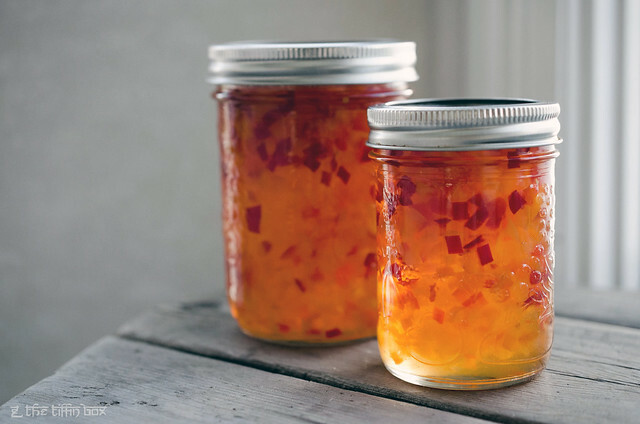 I made hot pepper jelly earlier this year. It is so delicious. I glaze roasted chicken and it is a big hit. 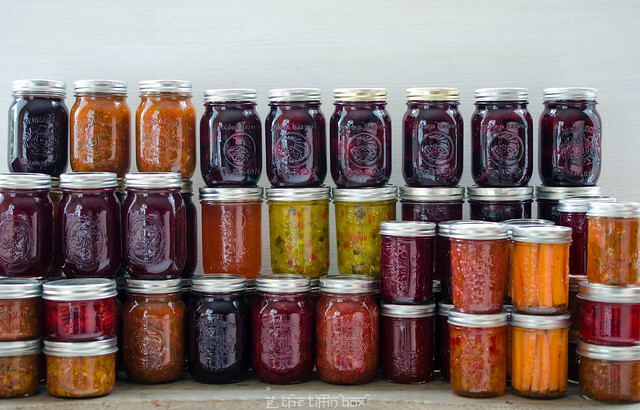 Your canning looks beautiful. This sounds like it might go perfectly with a recipe I just found for coconut shrimp! I have an abundance of Fresno chilis from the garden this summer and wondered what I could do with all of them before they went bad. I will have to try this with several of the Fresno chilis and see how it turns out! Thanks for a great recipe to experiment with!! Your jelly looks amazing Michelle! Lovely post and the end result looks fab! Qs: Did you substitute the same proportion of cider vinegar for white wine? Did the original recipe called for a drier or sweeter wine? (trying to get rid of a sweet moscato, but it's been sitting in the kitchen for a while maybe it already became "vinegar"). I substituted cider vinegar for white wine vinegar. I would imagine the white wine vinegar would give it a slightly more acidic taste. Unfortunately, I don't think straight white wine would go with this recipe, sweet or dry. I do have a good recipe for a sweet wine jelly, will look it up for you. i made this and it looks great, but it's been about 10 hours and hasn't set yet. they sealed properly... i'm just wondering if i did anything wrong. Hi Roo, what kind of pectin did you use? Also, did you let the jelly set overnight? Ocasionally heat will deactivate the pectin. You can remake the jelly, but I would place one jar in the fridge and see if it sets better first. If it doesn't let me know and I will explain how to rescue it. If the jars have sealed, they're fine to keep, but sometimes jelly won't set because of various reasons. okay, it's been in the fridge for the past 9 hours and still hasn't set! OK, it looks like the pectin didn't work. Is the jelly still quite liquid? If yes, then you can remake it. Unseal the jars, and place all the jelly in a heavy pot. Bring to the boil, and boil hard for 1 minute. This will break down any existing pectin. Stir in 85 ml packet of liquid pectin, boil hard for 1 more minute and take off the heat. Stir for an additional minute, then ladle into hot jars (you can reuse the jars) place lids and rings on, and then can using the boiling water method like described above. Let me know how it goes, fingers crossed. Thank you kindly for a jar of this jelly. I'm looking forward to putting it on some fresh from the oven biscuits for tea within the next few weeks. Who knows, maybe next year I'll give it a try for and make small jars for gifts.